IDEX, a leading developer of advanced fingerprint solutions for worldwide mass markets, has partnered with Feitian Technologies in commercialising a dual interface biometric smart card for deployment in multiple use cases. Oslo, Norway, 28 November 2017 – Leveraging IDEX’s market leading off-chip biometric sensor technology, Feitian has developed a contact and contactless smart card for use in a variety of government ID, access control and payment use cases. 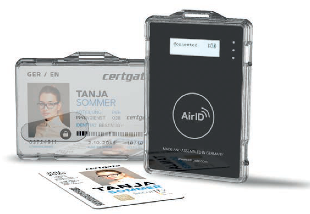 The rapid card prototyping has been enabled by the provision of a complete biometric module from IDEX. The use of biometric technology adds further complexity to the inlay and manufacturing processes for existing smart card integrators globally. Feitian’s international business serves over 100 countries and the company is a leading provider of user authentication and transaction security, with almost 1,000 employees worldwide. Uniquely, IDEX and Feitian engineering teams worked seamlessly to develop this biometric smart card in record timeframes. Feitian and IDEX will be showcasing these developments during Trustech, the largest global event dedicated to trust-based technologies, including payment and identification with more than 18,000 attendees and more than 400 exhibitors and sponsors.